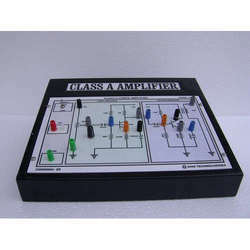 Our company is engaged in manufacturing the most sought after range of Class A Amplifier. This high strength amplifier that is manufactured by us is renowned in the industry for its better and steady performance. These products are available in diverse technical specifications as per the needs of our clients. The main features of this product include noise free performance and less distortion levels. Looking for Class A Amplifier ?